Kevin has been in legal practice for 25 years. He has wide experience in many areas of the law including commercial and property transactions, civil litigation, business and real estate settlements, family law, wills, probate and criminal law. Kevin graduated from the National University of Singapore in 1986 and became a full-time church worker with tertiary student movements. In 1990, he was admitted as an Advocate and Solicitor of the Supreme Court of Singapore and commenced practice as personal injury lawyer. In 1992, Kevin joined the United Nations High Commissioner for Refugees (UNHCR) in Hong Kong for three years as an appeals lawyer representing asylum seekers. 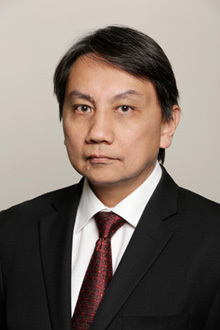 Thereafter, he returned to private practice in Singapore and continued to work on an ad-hoc basis for the UNHCR as a refugee lawyer. Kevin was admitted to practice in Western Australia in 2005. He joined Robertson Hayles Lawyers in February 2008 and became a director in 2009. For all enquiries, please contact Kevin on (08) 9325 1700 or email him at kdesouza@robertsonhayles.com.